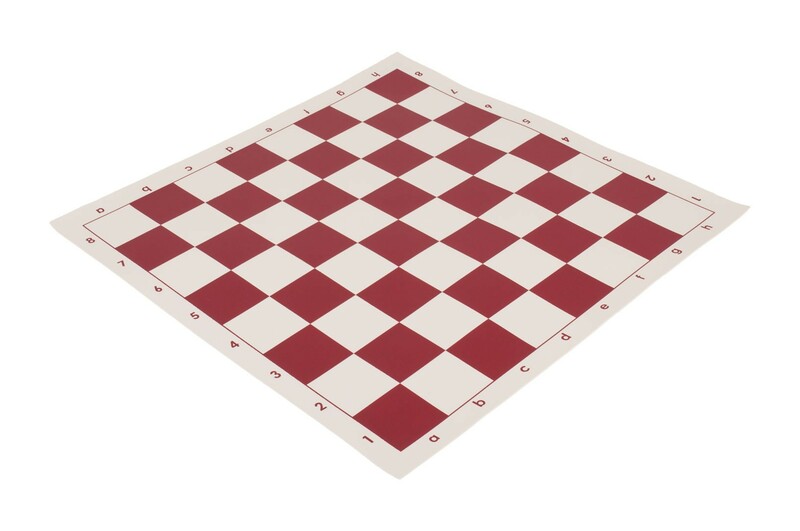 Our Regulation Vinyl Tournament Chessboard - 2.25" measures 20" x 20". 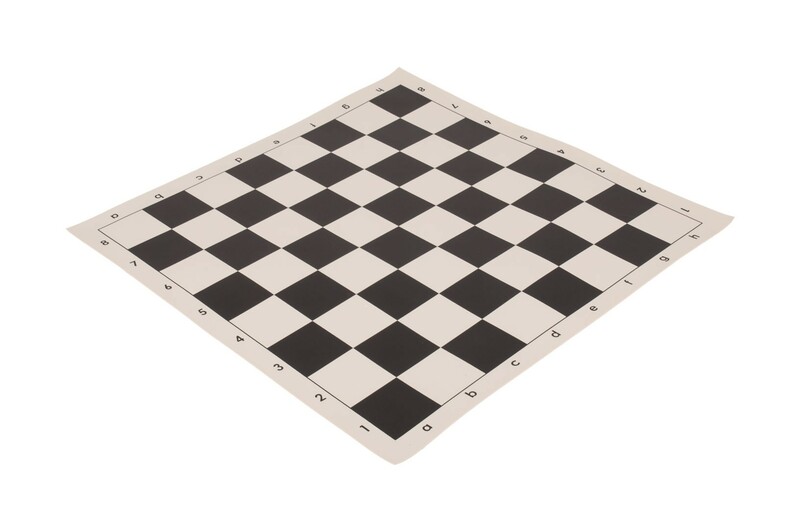 Feature 2.25" squares, squared corners, Algebraic Notation on all sides, and are made of the durable vinyl for long life. These boards roll up and unroll easily for storage, resist tears, spills and the most demanding abuse. 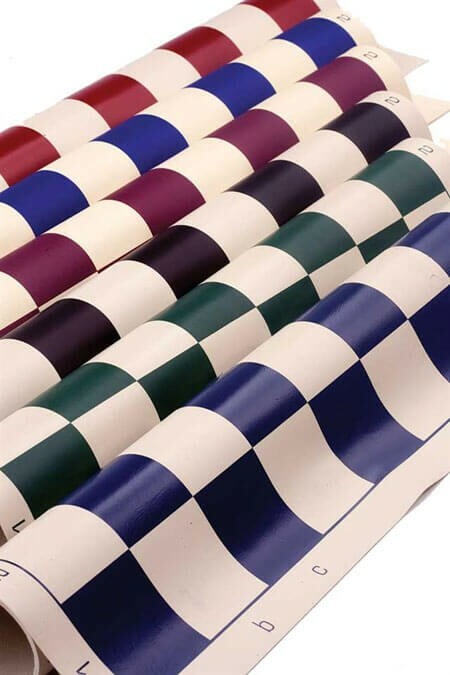 Great for use with either the Standard Chess Bag or Deluxe Chess Bag. Exceeds all US Chess Federation and FIDE requirements for Official Tournament Use!